Four years ago Steve Waugh defeated Roy Dyson, winning a State Senate seat that was long thought unwinnable by Republicans. During the course of his career in the State Senate, Steve Waugh has sided with the Democratic leadership a little too much. Just this year not only did Waugh vote with Mike Miller and the Democrats to override Governor Hogan’s veto of a bill that prevent colleges from asking about the criminal record of applicants, but he also sat idly by while Mike Miller killed $28 million in funding for a new higher education center for his district. It wasn’t just his thumb to the eye to Governor Hogan, either. Waugh was one of the Republicans who voted to allow Russian meddling in our state elections. Waugh didn’t earn any friends either with his erroneous email claiming an endorsement from the Senate Caucus that didn’t exist.. His reaction to our reporting on this was particularly eye-opening for us at Red Maryland as Senator Waugh’s emails to us complaining about our story oozed with a sense of entitlement. It’s no wonder that several of Waugh’s legislative colleagues, speaking to Red Maryland on the condition of anonymity, told us that they have had it with Waugh. Steve Waugh did a great service to the people of District 29 by beating Roy Dyson in 2014. But that alone does not get you a free pass when you go to Annapolis and start acting like a Democrat. Jack Bailey has been a lifelong public servant, serving thirty years as a police officer prior to his retirement. Bailey is running on a conservative platform. His simple approach to service focuses on three things: to continue creating jobs and growing our economy, to maintain a common sense approach, and to oppose any tax or fee increases. And just as importantly, he will stand with Governor Larry Hogan on the issues that matter most to Maryland’s conservatives and to the voters of District 29. We need State Senators that will back the Governor in his second term. 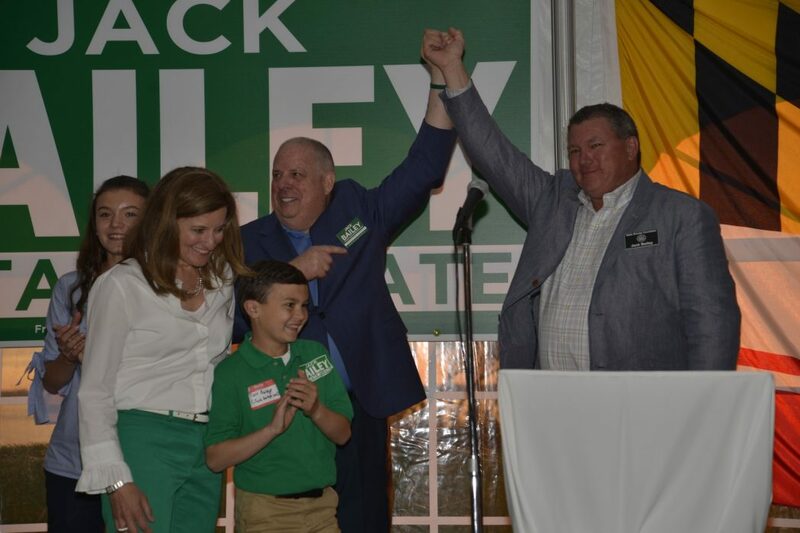 That’s why we the editors of Red Maryland join Governor Larry Hogan in endorsing Jack Bailey for State Senate in District 29.